There are so many great books for spring --- books that evoke the warmth of sunshine on our necks, the budding of new flowers, and the birds chirping in the trees and sky above us. Who doesn't want to read stories that fill our days with sun, growth and cheer? 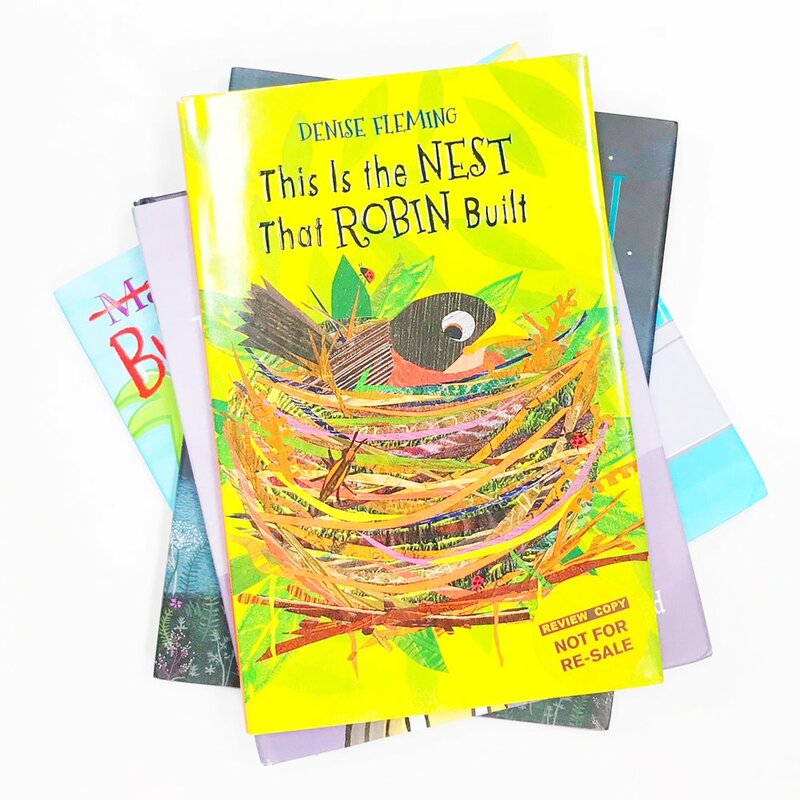 This one right here, This is the Nest that Robin Built by Denise Fleming, is one of the new books we are loving this Spring. 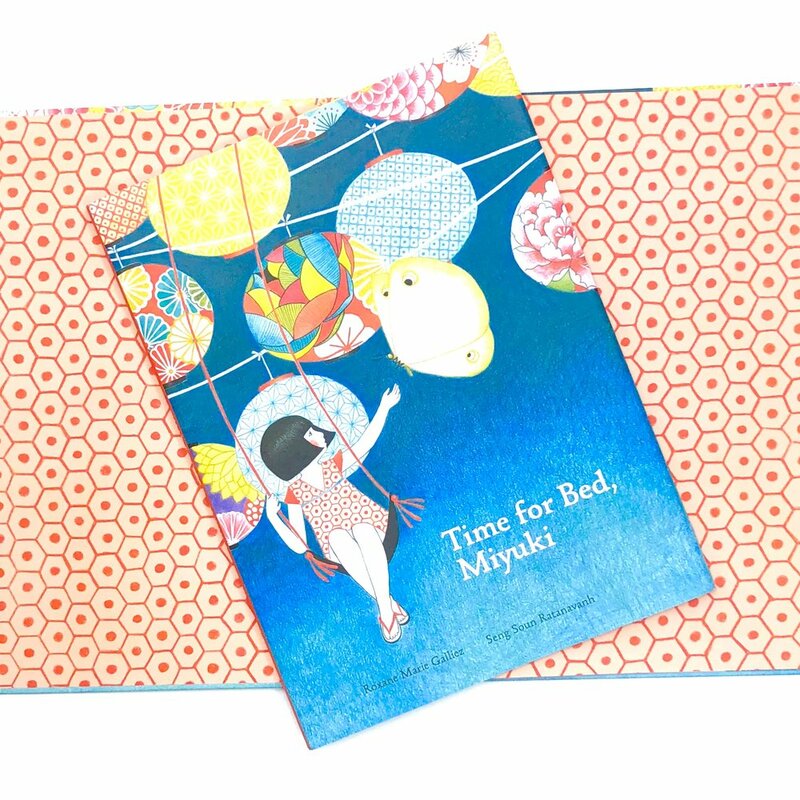 It is a fabulous (and vibrantly beautiful) cumulative story that will have your kids and students chiming in to finish the lyrical sentences as you read. In This is the Nest That Robin Built, robin needs help building his nest! With a little help from his friends, this sweet story shows how we can accomplish so much when we work together to achieve a common goal. The squirrel helps trim the twigs to anchor the robin's nest. The dog brings the string to wrap around the twigs that anchor the robin's nest. The horse shares straw, the pig mixes mud, the mouse gathers weeds and the rabbit picks the grass to anchor the robin's nest. And on and on, until the nest is built and the young fledglings that hatch within are ready to fly. Ok - if you must know, I absolutely cherish a good cumulative book, books that build upon patterns and are formed by an accumulation of successive phrases. When done right, the rhythmic sentences of cumulative stories are a joy to read aloud, and because these stories are grounded in repetition, the adult reading the book is gradually able to read less and less as the children are able to recite more and more. The constant repetition is beneficial for a child's articulation and prediction skills, and as if this isn't enough, when children recite stories it helps their fluency, boosts their confidence, and fosters a love of reading. Good cumulative stories aren't easy to find, making the ones that are done well are the ones to treasure. This is the Nest that Robin Built is undoubtedly a new favorite, one we will turn to again and again. Two trunks up!